In a picturesque location by the water's edge, Lakeside Cabin Retreat in Värmland is ideal as a romantic cabin break for couples, a flexible and relaxing holiday for active families or a chance to spend time with friends. 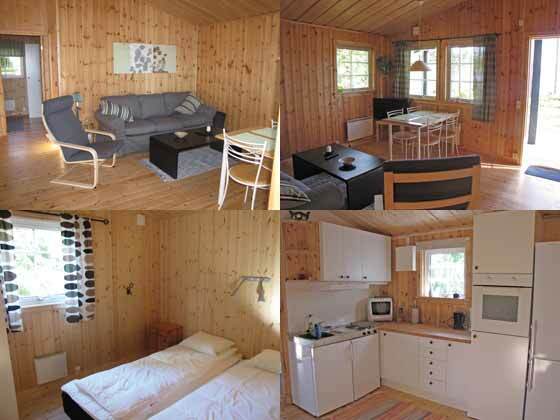 The two cabins, "Fyra" and "Åtta", are of equal standard, constructed in a traditional style and surrounded by deep forest ideal for exploring on foot or by mountain bike with a number of hiking possibilities right from the door. Canoes and mountain bikes are available to hire amd there is also the possibility to play "disc golf". 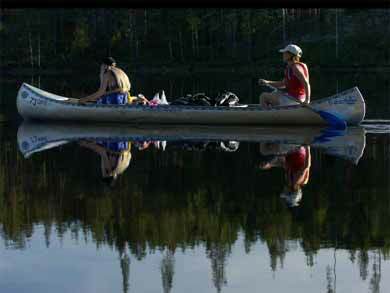 Boat is included as standard for fishing or just exploring the lakes. Photo: FG. 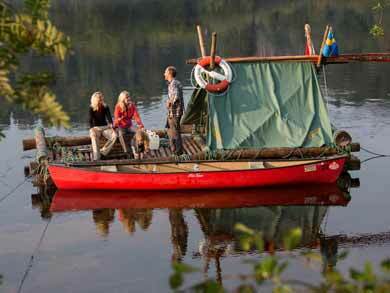 Each cabin also comes with its own rowing boat (or canoe if preferred) included as standard. The boat can be used to explore the system of lakes in the area in search of secret picnic spots along the shores or to take advantage of the excellent fishing opportunities (see under "Fishing" below). Cabin "Åtta" sleeps up to 4 persons. Just 20m from the cabin is a sandy beach with grill area, ideal for bathing. The cabin lies 200m from a small campsite with larger bathing area and there is a sauna available for your use just a few metres away. For larger families or groups of friends, a simple guest cabin next to the "Åtta" cabin can also be hired to accommodate a further 2 persons. The cabin has a wood-burning stove. Cabin "Fyra" is located very close to the water on its own small peninsula near to the campsite bathing jetty and has its own small bathing beach/boat jetty. The cabin also sleeps up to 4 persons and has a lovely secluded veranda. 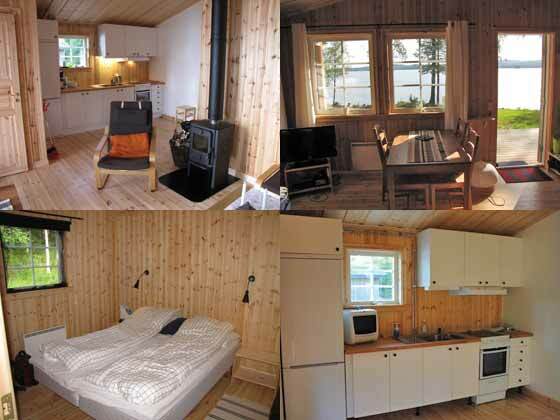 As for Cabin "Åtta", there is a grill area nearby and sauna available for your use. Round off your wood-fired sauna with a swim in the lake just metres away! Photo: FG. The dense forests of the area (known as "Finnskogen", the Finnish Forest) are home to a wide range of wildlife. You can visit the local beaver hide to go in search of the graceful and industrious beaver or roam the forests on the lookout for the majestic elk. With luck, you may even see signs and tracks left by one of Sweden's most fascinating, though also most reclusive, larger animals: the wolf. 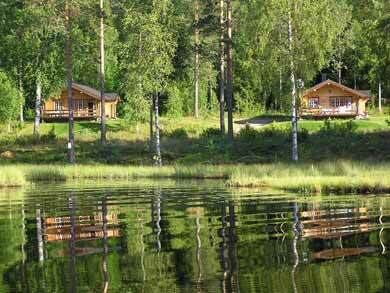 Lakeside Cabin Retreat in Värmland offers both a tranquil forest holiday and the opportunity for a range of outdoor activities - ideal for couples, families or groups of friends where some prefer to be active while others like to take it easy! The cabins are comfortable and have bathroom with shower and WC, fully-equipped kitchen and living area. Located within a fishing reserve, Lakeside Cabin Retreat in Värmland is a marvellous base for fishing for pike, perch and pike-perch depending on the time of year. Fishing licences are available to purchase locally. Fishing equipment hire can be arranged locally. Guests wishing to fish should have a previous working knowledge of fishing. For guests without previous fishing experience who wish to fish during their stay, a day course is required locally. Please contact us for details. The boat included as standard is provided without motor. A motor for use with the boat is available to hire locally if required. Please note the option to use motor is available only to guests with previous experience of and competence in driving a boat with engine. Guests arriving by public transport can arranged transfer from Arvika (approx. 45 mins) as an optional extra. In Arvika, pick-up time will be planned to allow time to shop for provisions for your stay before transfer. You will have access to your cabin from 15.00 on your arrival day. You should aim to arrive between 15.00 and 18.00. Later arrival times are also possible by prior arrangement. Please let us know your estimated arrival time in advance. Please check out by 12.00. Both cabins are suitable for stays year-round (season for winter activities normally mid-December-March). For those interested in fishing, the best fishing season is May to the middle of June and from end of August through the whole of September and part of October. NB: No stays are possible for the period 10th-17th February 2019 (latest departure 9th February, earliest arrival 18th February) due to the Swedish Rally taking place in this area. During high season, rental periods are normally 8 days Saturday-Saturday, though other start days and durations may also be possible. Short stays (min. 3 nights) are available during low season and may also be possible during high season on request. High Season prices apply June/July/August (+ Christmas and New Year). For stays spanning two price periods (low-high season), the higher period price applies. Transfers: For guests travelling by public transport, transfers are required from the train station in Arvika (if combining your cabin stay with Canoe Tours in Rottnan/Röjdån, transfer to/from Torsby rather than Arvika is also possible). Please note that transfer times must be booked at least four weeks before departure. NB: Maximum 4 persons can be accommodated in standard transfers. For larger groups, transfer must be arranged by private taxi, cost around 1400 SEK (about £140) return for up to 7 persons. Canoes and mountain bikes: Canoes and mountain bikes are also available to hire from your local host, payment to be made locally. For bikes, child sizes for children aged approx 8-12 years are available. NB: The cabins are in a fairly remote location, approx. 1km from your host's house and around 20km from the nearest shops. The experience is accessible by public transport (see "Optional extras" below) and it is not essential to have a car, but you will require a car if you would like to make the most of the possibilities in the local area and may find a vehicle convenient during your stay. Please let us know in advance if you have any special requirements such as cot or high chair. Bed linen is provided for guests to make up the rooms as required on arrival. Sleeps up to 4 persons in 2 bedrooms, 1 with twin beds, 1 with bunk beds. Small summer cabin adjacent to main cabin sleeps an additional two persons in two beds at floor level. Guest cabin has bedroom, kitchen (inc. microwave) and WC/shower (guest cabin has no TV). Total area 25 square metres + 12 square metres balcony. Total area approx. 45 square metres + 12 square metres balcony. Located just 20m from the water's edge. 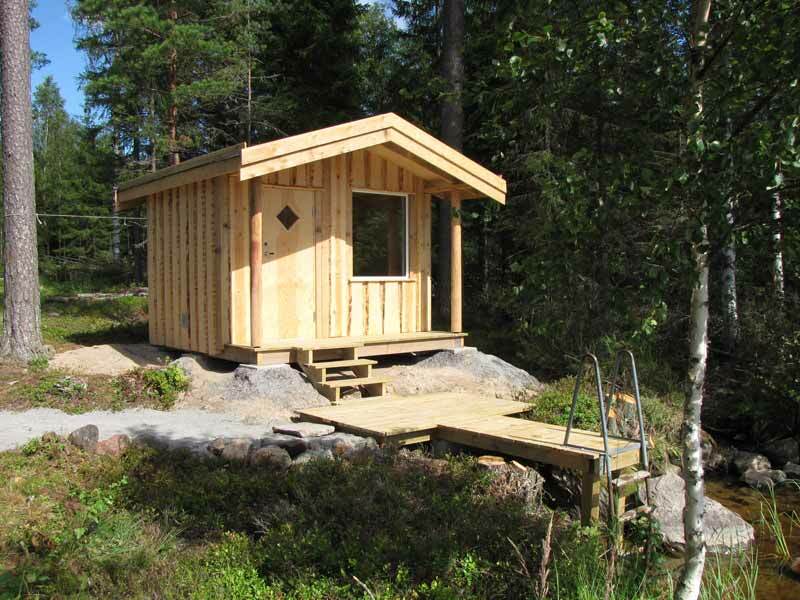 A sauna is available for your use just a few metres from the cabin. Washing machine available (only during period 15th June-15th September). NB: Please note that one wash per week is included as standard. There is a small charge locally for additional use. Own rowing boat (or canoe if preferred). Located 1km from your hosts' house. Sleeps up to 4 adults (family of 5 may also be possible by arrangement) in 2 bedrooms, 1 with twin beds, 1 with bunk beds. One of the bunk beds is standard size, one larger. Located on its own small peninsula just a few metres from the water's edge. Other specifications as per Cabin "Åtta" above, except that Cabin "Fyra" does not have wood-burning stove. Linder 440 aluminium fishing boat with buoyancy aids (2-3 person canoe can also be chosen as alternative to boat if preferred). The boat is suitable for 4-5 persons. The boats are in the three larger lakes and are ideal both for general leisure use to explore the lakes and for fishing. Map covering the whole fishing area and "deep maps" for the three larger lakes. Your host will meet you for welcome meeting giving useful information for your stay on the morning following your arrival. End cleaning of the cabin on departure. Food: The cabins are fully-equipped for self-catering. The nearest shop is 20km away, 15 min by car. NB: Please note if you choose not to have a car during your stay that you must have ALL provisions with you before leaving Arvika. There are no facilities where the cabins are located. Time can be allowed in Arvika to shop for provisions before pick-up. See "Optional extras" below for information on transfers if travelling by public transport. Additional equipment available to hire locally such as mountain bikes, canoes and fishing gear. You should have general good health - guests of all ages are welcome. The summer is most suitable for families. In spring and autumn the weather can be rougher on the water and we recommend warm clothes. Groups or families travelling together are very welcome to hire both cabins, which together can accommodate up to 8 (+2 including guest cabin) persons. The "Finnskogen", or Finnish Forest, is the name given to a large area of forest covering parts of Värmland and extending across the border into Norway. The forest is named after the immigrant settlers who came to the area in the 1600s from Finland (then part of Kingdom of Sweden) to make their living from agriculture. Today the forest is an excellent area for outdoor activities as well as important habitat for a wide range of Swedish fauna, including elk, deer, woodland birds and hare. Fly to Stockholm, Gothenburg or Oslo airports for onward travel by train to Arvika or by hire car, travel time 2.5-4.5 hours depending on options chosen. 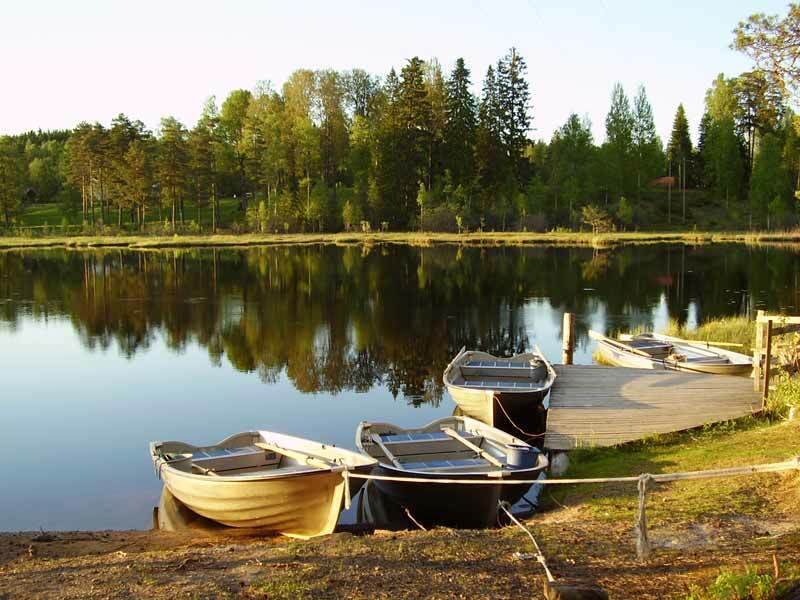 Transfer to/from Arvika train station is available as an optional extra for guests travelling by public transport (if combining your cabin stay with Canoe Tours in Rottnan/Röjdån, transfer to/from Torsby rather than Arvika is also possible). Ferry Dover-Dunkirk or Newcastle-Amsterdam for onward train connections to Arvika. Recommended by The Guardian as one of its "10 of the Best Waterside Cabin Holidays in Europe". Read about Niki's stay at the cabins on the Nature Travels blog. 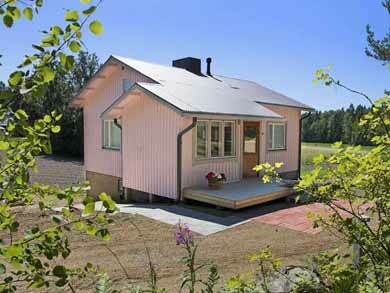 These cabins are also suitable for stays in wintertime.